Lancome cosmetic bag. It is made of white fabric, and has a black zipper top closure. 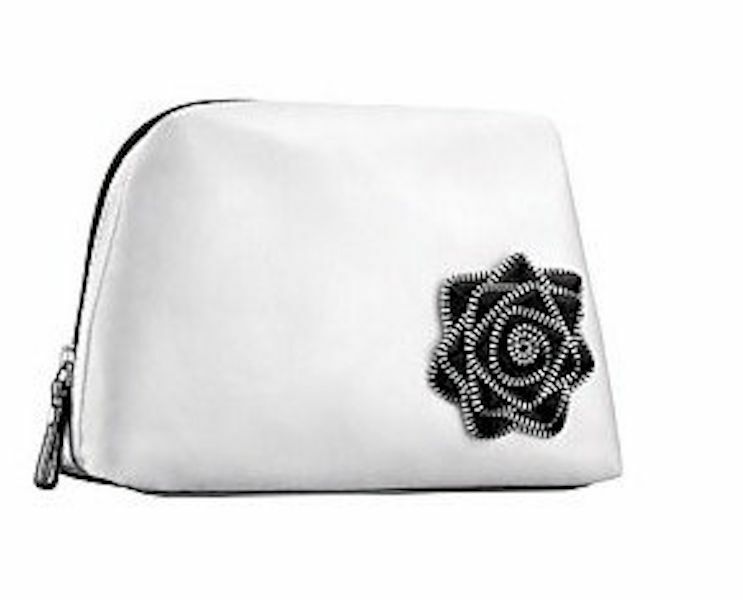 The front is embossed with a flower made of what looks like a black zipper fabric, as the edges are silver metal. The bottom is black patent.